We've been back from Virginia for ten days and it's time to go again. There are so many beautiful places in the world and we are fortunate to have lived in and visited many of them. The hills of the Himalaya are amazing and I always look forward to seeing them. My friends in Virginia can't imagine why we would leave such a beautiful place. But Goshen has its own beauty, as well. 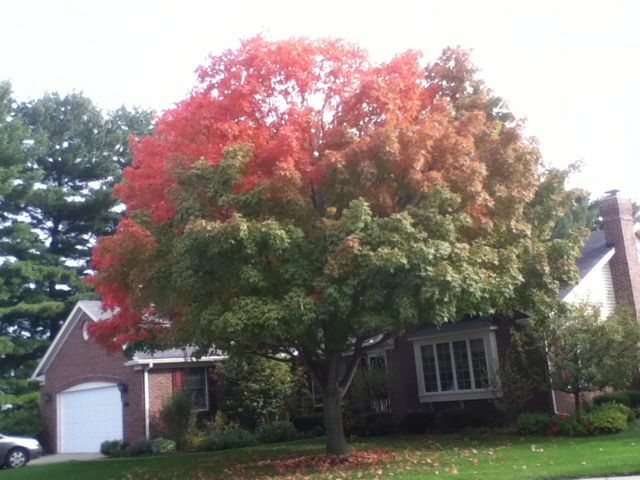 The maple trees are beginning to turn the colors of fall. This tree is in front of our neighbor's house just across the street. The second photo (not all that good!) is of the moonrise looking out of our front door. 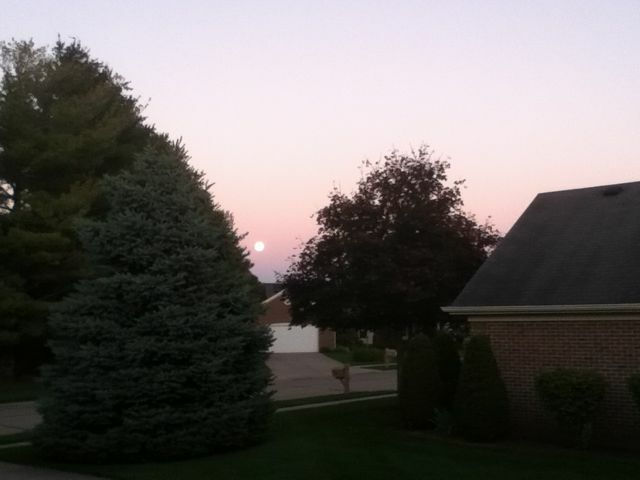 We were watching the Ryder Cup golf match on TV and they had a great shot of the moonrise in Chicago. I realized we must have it too and hurried out to shoot it. My India blog should be up and running by the weekend, assuming good internet access. See you back here soon!